The holiday season is already here and with it comes hectic schedules. Here are 9 ways to prep for the MAT over the holidays. One tried and true method for good vocabulary recall is using flashcards. 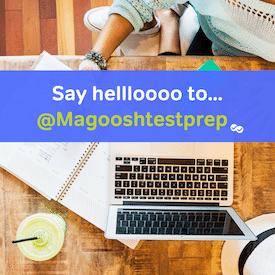 Magoosh has a slew of MAT flashcards that you can use to quiz yourself. If internet is inaccessible, go ahead and make yourself 3×5 cards and flash away. Time is often in short supply during the holidays, so maximize your time with short bursts of concentrated effort. A popular technique is called the Pomodero Method (a.k.a. kitchen timer). Set the timer for 15 minutes, work conscientiously and then take a break or wait until your next available break. Audiobooks are excellent ways to multiply your activities! Your local library will mostly likely have titles you can download for free or you can check iTunes or Amazon Audible for good books to read. I would recommend listening to classical literature. Not only will reading classic books expand your base of knowledge, which is always helpful for the test, but it will familiarize you with historical and alternate meanings to words. An additional listening opportunity is with educational podcasts. You can find a vast number of quality classes and professional information through podcasts. Download and go! Read, read, read! Whether it’s during your train commute or even the few spare minutes alone in the bathroom, always have something on hand to read. Print or digital, the format matters less than reading professional literature from all areas. Fellow blogger Bertrand has put together a good list of examples of types of items to read. While it is often difficult to find an entire hour during a busy holiday season, you can moderate the time and the number of questions you practice with at one time. Using a limited number of questions with a short time limit will have the added bonus of focusing your efforts to answer questions quickly but accurately. Even busy times call for the need to carve out a quiet moment. You can both use that quiet moment to catch up on some physical rest, but also using the tips in this post on memory training for the MAT can help you maximize your mental potential at the same time. You can use the information in Michael’s post about MAT word game analogies to hone your analogy recognition by playing some word games. Crossword puzzles are an excellent way to work on critical thinking and vocabulary matching skills. While a subscription is necessary for the current puzzle, past crosswords from the New York Times area available online for free. LA Times also has crosswords available. While mathematical questions are not the majority on the exam, they are still important to review. Being prepared for them is essential and this series of blogs will help familiarize you with techniques on identifying and understanding the math analogies presented. Hopefully, any or all of these ways to prep for the MAT will help you maximize your time and prep for your exam. Best of luck and happy holidays!